Full Text Made available under a CC BY-NC-ND 4.0 license with support from the University of Bergen. Bjørn Enge Bertelsen is Associate Professor at the Department of Social Anthropology, University of Bergen and has undertaken anthropological research in Mozambique since 1998. 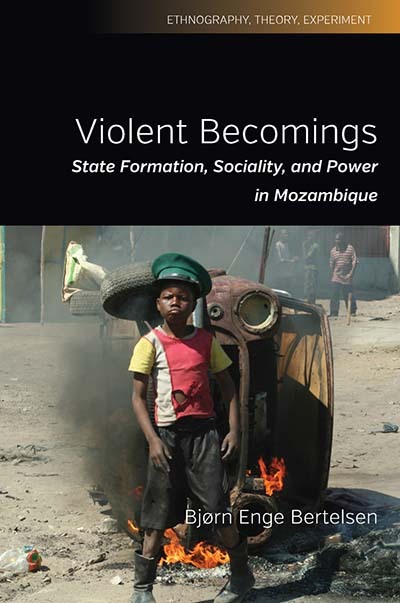 Violent Becomings by Bjørn Enge Bertelsen is available open access under a Creative Commons Attribution-NonCommercial-NoDerivatives 4.0 International License (CC BY-NC-ND 4.0) with support from the University of Bergen.